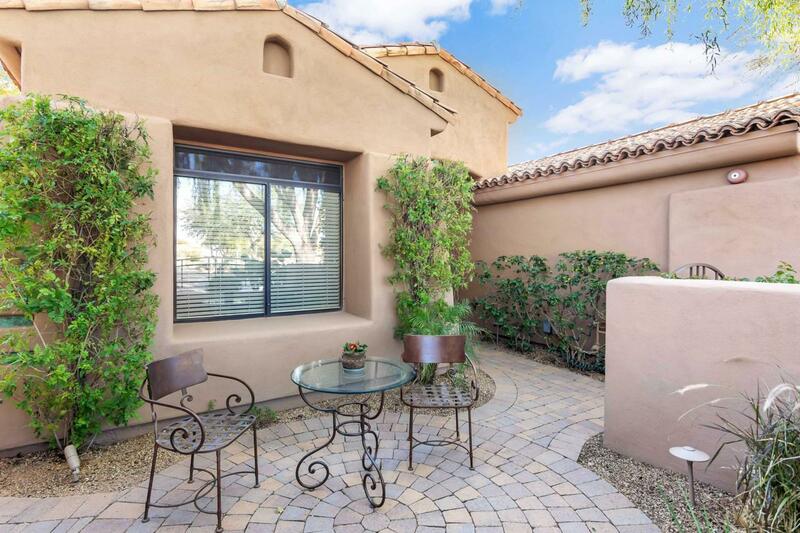 Enjoy the serenity of Grayhawk's highly coveted guard gated Talon Retreat. This beautiful home was once a model home and has the largest floor plan offered in Crown Point. 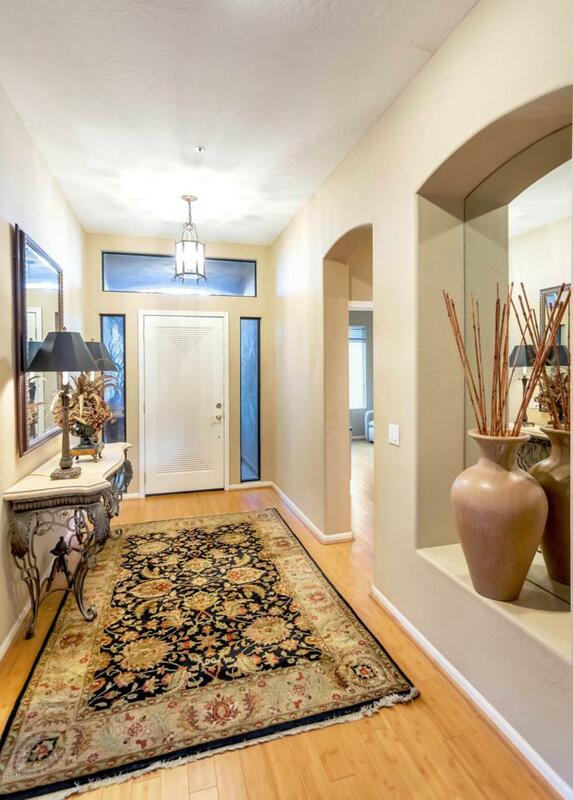 The privately gated front patio leads to a wonderful open floor plan with three bedrooms, three bathrooms, and bright open spaces that offer seamless living between the living room, dining room and kitchen, all of which open to lovely private patios. 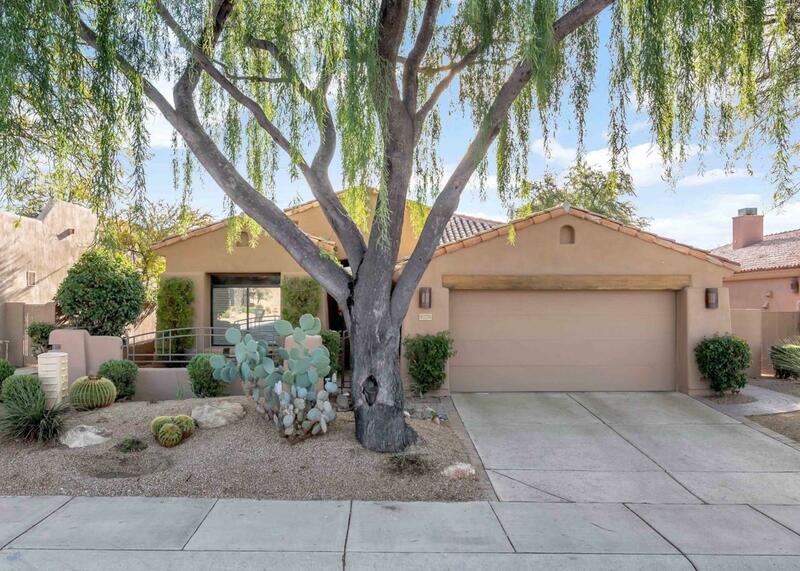 The outdoors offer an impressive environment as well, and include fountains, a gas fire pit, wood burning fireplace, built in barbecue and fantastic views of the McDowell Mountains. The house was newly painted and new appliances were installed in 2018. 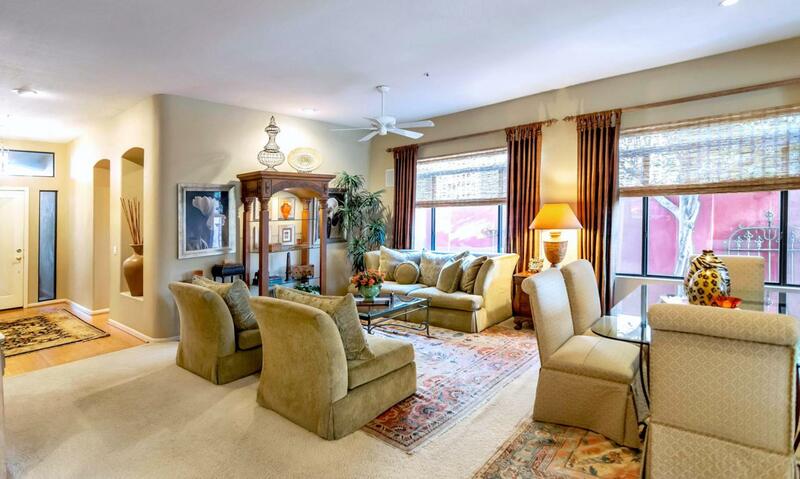 Home is just steps away from the community pool, spa, and tennis courts creating a fantastic lifestyle!